orruption in and of the political class has evolved over the years. Gone are the days when Louisiana congressman William Jefferson was found to have stashed "$90,000 in bribes in his freezer", or "Congressman Randy “Duke” Cunningham who created a “bribery menu” that netted him $2.4 million." The reason for this evolution is that "Politicians are like the rest of us in that they avoid overtly criminal or publicly embarrassing behavior." In India, politicians are refreshingly less concerned with embarrassing behaviour, and usually place the fear of public embarrassment secondary to the pursuit of pelf. In the United States, political corruption has evolved to avoid such public embarrassments and taken on two indirect forms - one is what the author calls "corruption by proxy" and the other is "smash and grab." Peter's book is a fact-laden ride through the morass of political corruption in the United States, and the picture on both sides of the political aisle is not pretty at all. Like most enterprising people, and politicians are nothing if not entrepreneurial by nature, politicians too have adopted several ways of exponentially increasing their personal wealth by leveraging their political office, while at the same time avoiding disclosure rules put in place that would attract negative public scrutiny. 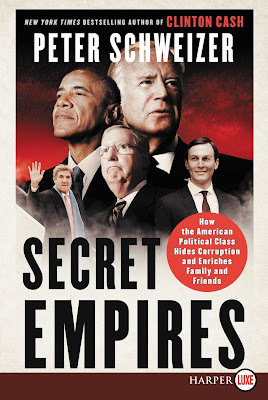 While American media has spent the better part of 2017 and 2018 in a manic exercise to uncover venality in the Donald Trump administration, this book gives us a look at some rather curious coincidences that occurred during the tenure of President Obama. From among all the examples the author cites, let's look at four. In 1998, the Delhi Jal (Water) Board had approached the World Bank for a loan. The World Bank suggested that the DJB hire a consultant to help make recommendations for improvements, and even offered a $2.5 million loan to the DJB to do that same. Over the course of the next seven years, the World Bank agreed to provide a loan to the Delhi Jal Board for $150 million dollars for the privatization of water supply to the capital city. What made the saga intriguing was the insistence of the World Bank and its interference to ensure that Pricewaterhouse Coopers (PwC) got selected as the consultant to the project. Thousands of pages made available as a result of RTI (Right to Information) queries filed by activists, it emerged that despite PwC failing to make the cut in the technical and financial rounds, the World Bank insisted on changes to the evaluation criteria, that the marks given by one particular member of the evaluation committee be excluded from the final evaluation so as to favour PwC, and so on. What most people were unwilling to put on record was that PwC had on its payrolls the son of a powerful person in the government of India and who had long-standing ties to the World Bank and the International Monetary Fund (IMF). Thanks to India's legendary bureaucratic inertia and apathy, the privatization of water distribution in the nation's capital never came to fruition. Else the cost of water in the city of Delhi would have increased an estimated five times. Why is this relevant to the review of Yasha Levine's (@YashaLevine) book, "Oligarch Valley"? Because both are tales of corruption and collusion between big business, politicians, and, in Oligarch Valley's case - the judiciary. In Levine's account lies a cautionary tale for those in India willing to listen. 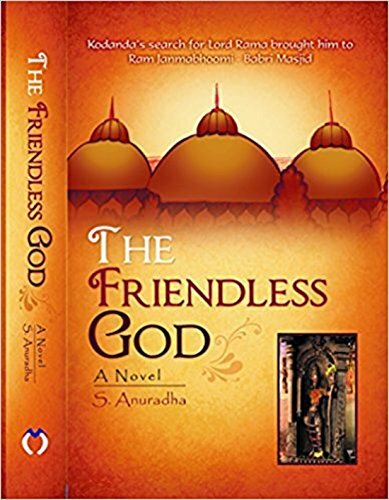 This is the tale of three people, a god, and the relationship the three have with Rama, their god. One seeks to find Rama, the other, having forsaken Rama, fights a losing battle with herself and her son to keep Rama out of their lives, while the third stumbles upon Rama as a way to a better life. Their lives intersect, diverge, and converge over the course of the story. Vaidehi abandons singing and Rama after criticism of her Tamil-laced rendition of Tyagaraja kritis, and brings up her son Kodandarama, truncating his name to Kodanda, and stripping both his name and life of Rama. Kodanda - truncated from Kondanarama, Vaidehi's son, grows up knowing nothing about Rama or god, but ends up finding for an answer to his question - why does Rama have no friends, despite being sought by millions. Then there Ramana, an orphan with the street-sense that takes him far.